Kveik is NOT a beer style. 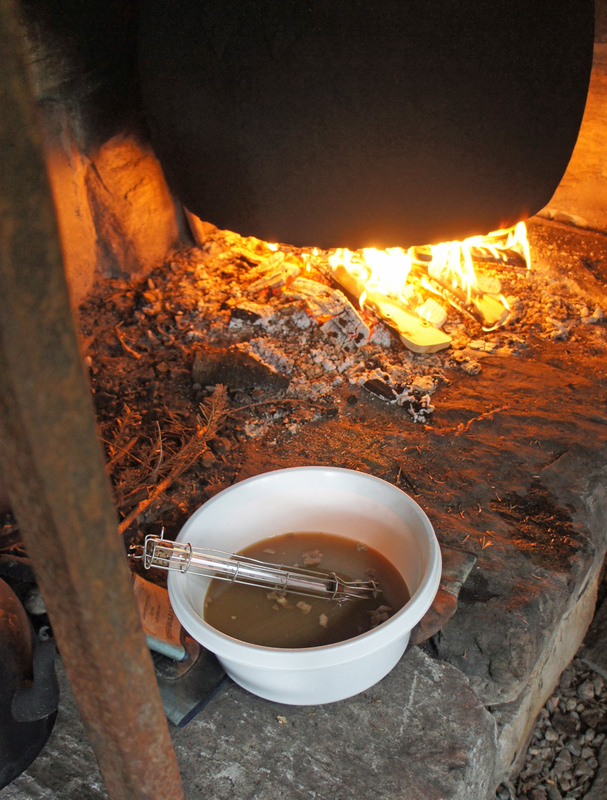 It’s the name given in parts of Western Norway to yeast used in the local tradition of farm brewing, it looks to be derived from an Old Norse word meaning “kindling”, as if the kveik kindled the fire in the brew, and it is apparently related to the English word “quick” in the sense of “alive”. In particular, kveik is NOT the Norwegian equivalent of Saison. Kveik is just one of half a dozen or so terms for “yeast” used in Norway, the others including barm (also found in Britain, of course), gjaer, gjest (from the same root as “yeast”) and gong, with kveik limited to the south-west of the country, but competing, even there, with the latter three words, which all had wider distribution. Some similarities can be found in the brews made across the area where the term “kveik” is used: north of the Jostedal glacier they will generally be “raw” ales, that is, made without boiling the wort, and hop usage will be light to non-existent: generally restricted to leaving a bag of hops in the stream of wort running from the mash vessel. All will be made with water that has been boiled with branches of juniper in the pot, which gives a sharp, lemony/citric flavour to the ale, as well as helping to preserve against bacterial infection. Kveik is NOT a particular strain of yeast, and saying “kveik yeast” is a bit tautological, although the term looks to cover a distinct family of yeasts. However, within that family are dozens, perhaps hundreds of different individual strains, and any one person’s kveik can contain between two and ten different individual strains. This use of multiple yeast strains appears to be important. 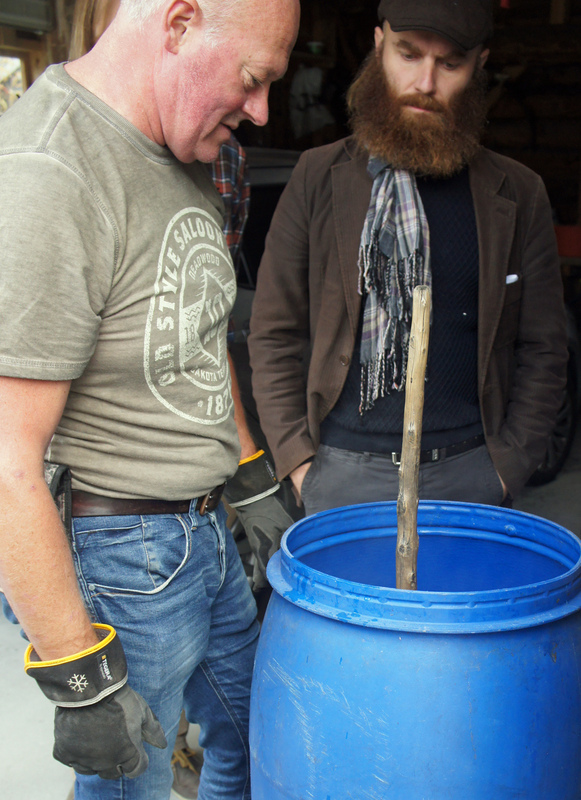 Checking the consistency of the mash – is that stick going to fall over? That is not the most interesting fact about kveik, however. The aspect of kveik brewing that is most likely to ensure its adoption outside Norway is the range of flavours it is possible to get from the yeast, fruity and deep, which chime with the search for more flavour that seems to power much of the innovation in craft brewing right now. But there are other wonders: the high temperature tolerance exhibited by kveik strains, for example, many of which are happy fermenting at up to 40ºC. 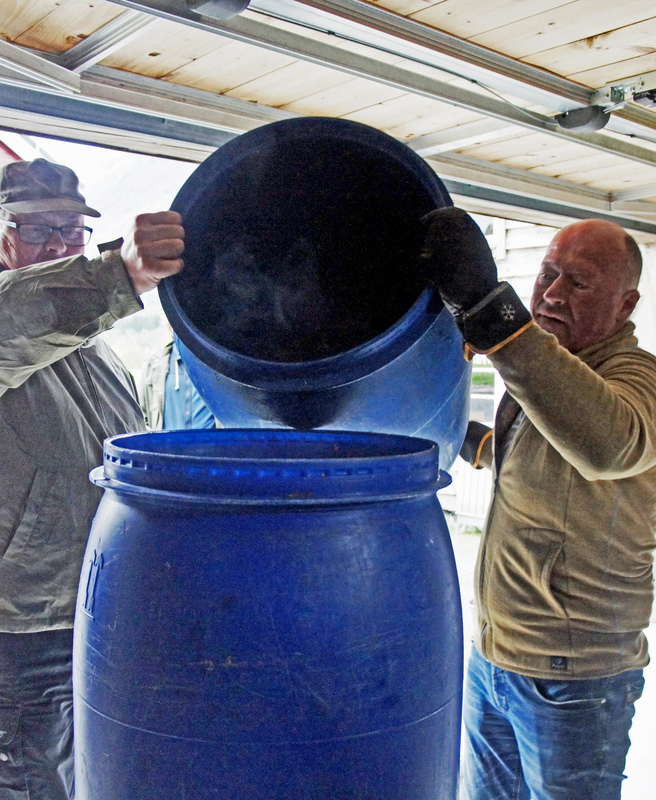 Preiss, a tall, bearded and friendly Canadian, speaking at the Norsk Kornøl Festival in Hornindal, Western Norway, last month, revealed that his company had tested 25 different strains from samples of kveik supplied by Garshol, “and all of the ones we tested grew at 40ºC, while two thirds of them were tolerant to 42ºC, which isn’t normal in the larger world of beer: most people are fermenting at 20. This is remarkable. There are prominent yeast scientists that have engineered yeasts to work at 42ºC, and here’s a whole bunch of natural ones from Norway that do it too. 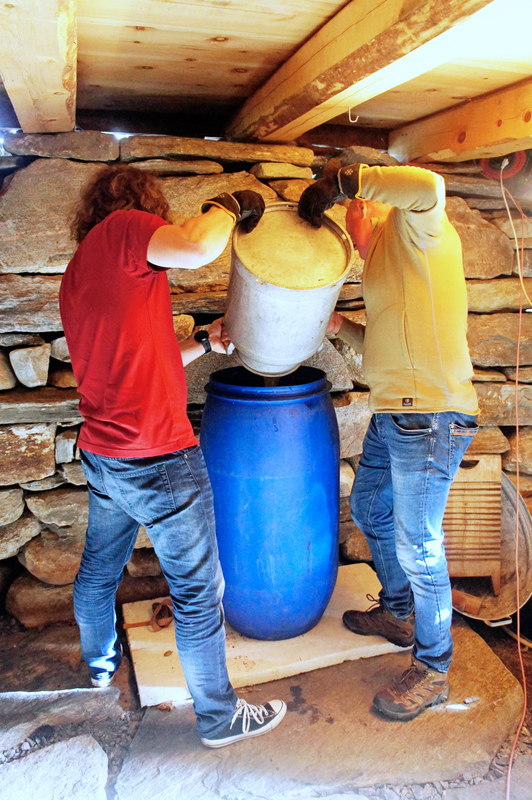 How did kveik yeasts evolve to be happy at such high temperatures? Garshol suggests it was due to the pressures the farm brewers were under, which influenced the yeasts they chose to preserve for brewing the next batch of ale: “The fermentation temperatures are crazy. But when you look at the old sources, they say ‘milk-warmÆ pretty much everywhere, in other words around 37ºC. Why is this? Obviously brewers want to add the yeast as quickly as they can. But as the wort cools, it cools more and more slowly. And with old-fashioned cooling methods and 150 litres of wort, that was slow. So there are lots of accounts of brewers having to stay awake until the middle of the night before they can add the yeast. And of course, the longer you wait, the greater the chance that some lactic acid bacteria gets in there. So you really want to ferment warm – the warmer you could ferment, the better.” Those yeasts that survived being thrown into wort at 40ºC to go on and ferment a successful, tasty beer would be the ones that get preserved for use in the future. The same is true of kveik’s ability to dry out and still come back and thrive when rehydrated. 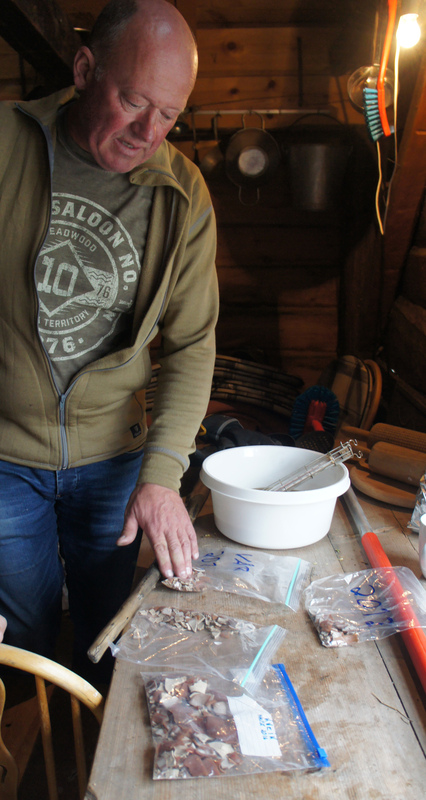 Preiss says that when Escarpment received its initial samples of kveik, “the first thing we found out, and we found it out very quickly, is that this is not normal yeast. We got the dried sample in and rehydrated it, and the cells were looking healthy and plump within five minutes. We put some into some wort, went for lunch and came back 40 minutes later, and it was fermenting. That’s not normal for beer yeast. That was the first sign that this was probably something special. Again, the explanation for this comes from the pressures the yeast was put under. 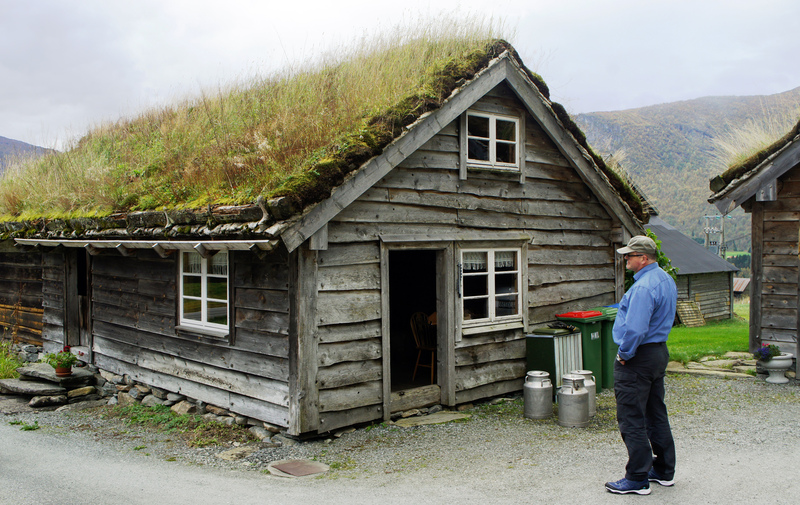 Norwegian farmhouse brewers did not, and do not, brew regularly: perhaps only two to four times a year. 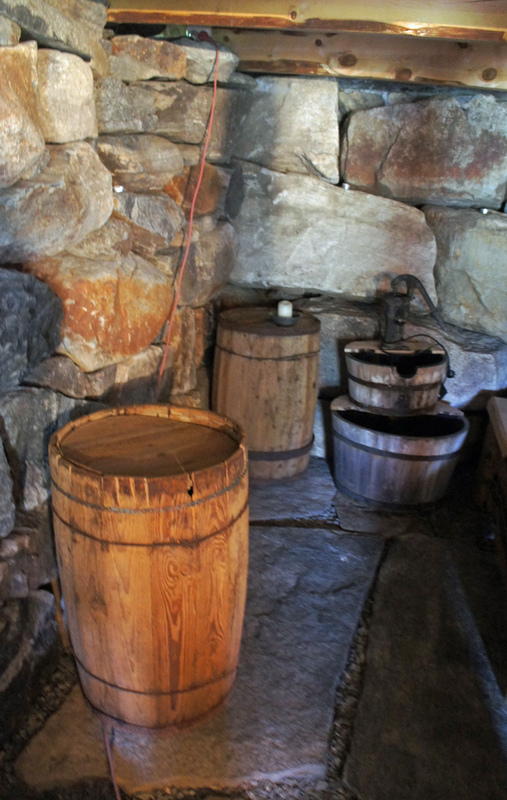 They needed to preserve their yeasts between brewings, and before refrigeration the only way to do this was by drying. Those yeast strains that survived drying were thus selected for. Similarly a farm brewer might have very little notice that a new supply of ale was needed: the arrival of unexpected guests, for example. Once more, those yeasts that started up quickly, and finished speedily would be optimally selected for. Rather harder to explain is the alcohol tolerance of kveik strains. According to Preiss, “in terms of alcohol production from the wort, some were pretty efficient, but there was a big range of attenuation, from 66 per cent to 95 per cent, and in alcohol production, from 4.4 per cent to 6.4 per cent.” However, when Escarpment tested for how much alcohol kveik strains could cope with, “we were pretty stunned. We tested eight kveik yeasts for ethanol tolerance, and they were all growing in up to 12 per cent alcohol, which is not normal: conventional ale yeasts exhibit a spectrum, some that are not very good at surviving in high alcohol and some that do survive. It’s very rare to screen eight strains and find all of them growing like that. 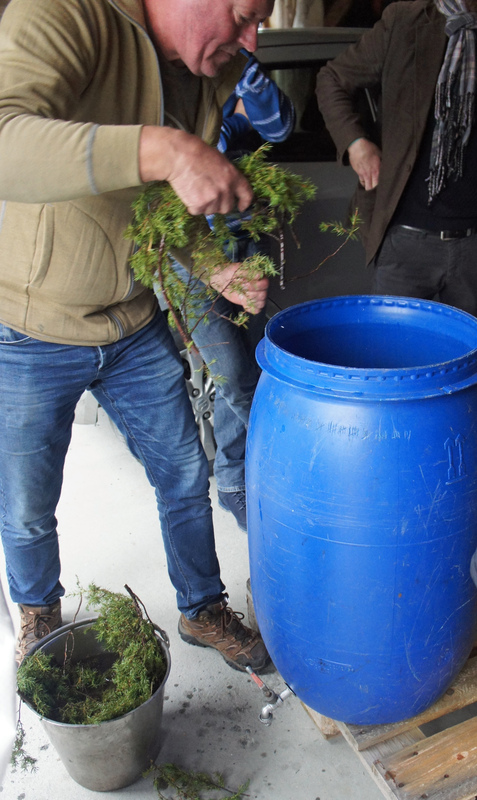 We found that even if we went up to 16 per cent alcohol, a third of the kveik strains will still grow, which is pretty remarkable. “We also looked at the flocculation and we found that two thirds were very flocculent, many very, very flocculent. But even in one kveik sample there might be a huge variability in the flocculence between the different yeasts in the strain. Some are not very flocculent at all, some are dropping crystal clear in ten minutes. It’s again interesting to see that kind of variability in a single yeast community. The unanswered question at the moment is where kveik strains fit on the yeast family tree. A study released in 2016 by the Flanders Institute for Biotechnology and the University of Leuven in Belgium found that all commercial beer yeasts come in two strains, Beer One, which dates from the late 1500s or early 1600s and Beer Two, dating from the 1650s or so. So far Preiss and his team at Escarpment have only been able to make a rough fingerprint of the kveik strains they have, “which is not very high-resolution, but it’s typically accurate and it can give us an indication of the genetic relatedness of different yeasts. So what we found when we took this approach is that the kveik yeast across different samples were more closely related to each other than they were to the other strains of domesticated ale yeasts. 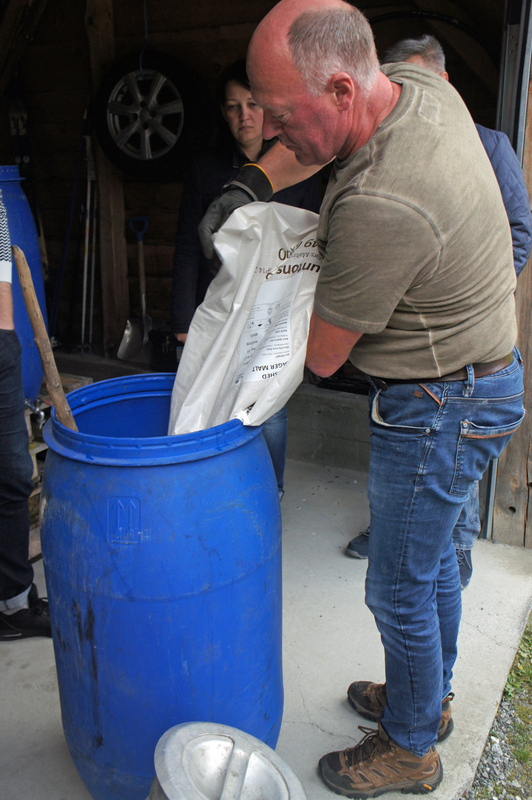 I was lucky enough to get to see a “Norwegian farm brewer” in action: Stig Seljeset, whose father was a farmer brewer, and who wanted to maintain the tradition. 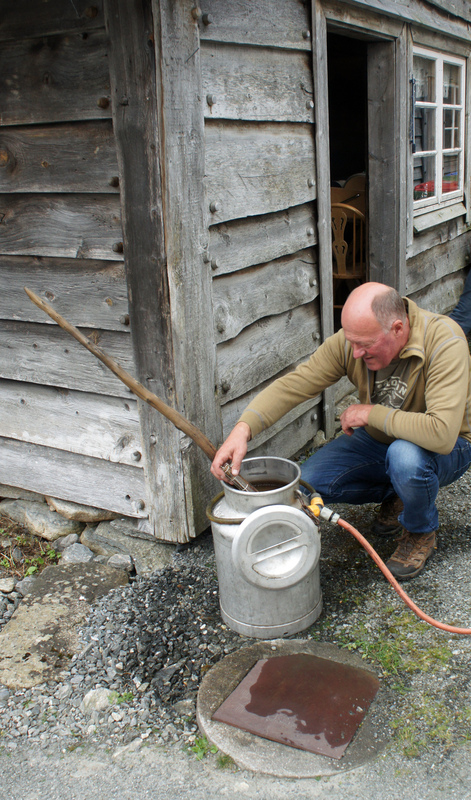 Stig brews at Borghild Tunet in Hornindal, “tunet” being the Norwegian for “farmstead”, home of Idar Nygård, deputy mayor of Hornindal, who has preserved the old farmstead much as it would have looked a century and more ago. The beer Stig brews is a “raw ale”, made without boiling the wort. 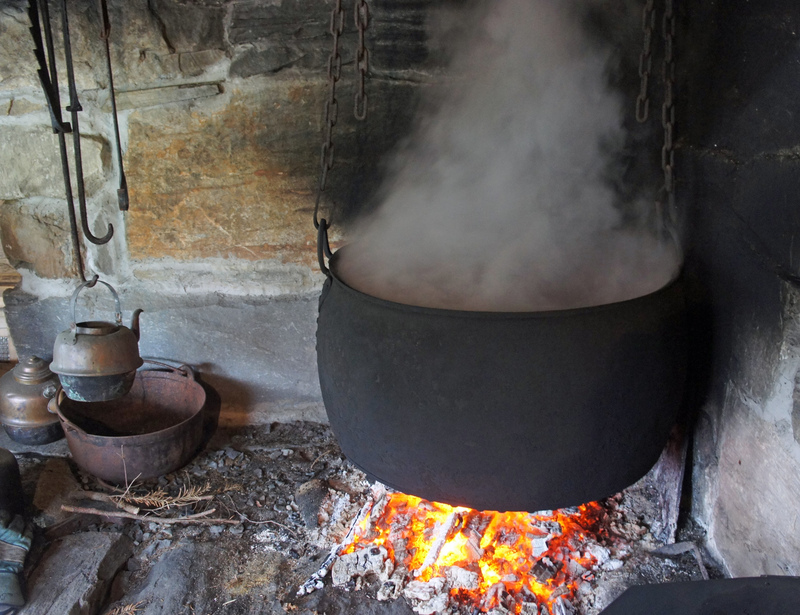 The first step is to boil up water (which comes from a borehole up in the mountains, and contains lots of dissolved limestone/chalk) and branches of juniper in a large iron pot, perhaps 100 litres or so, suspended over the fire in the old farmstead kitchen (exactly the same way that Frank Clark does in his reproduction 18th century farmhouse kitchen in Colonial Williamsburg, Virginia). 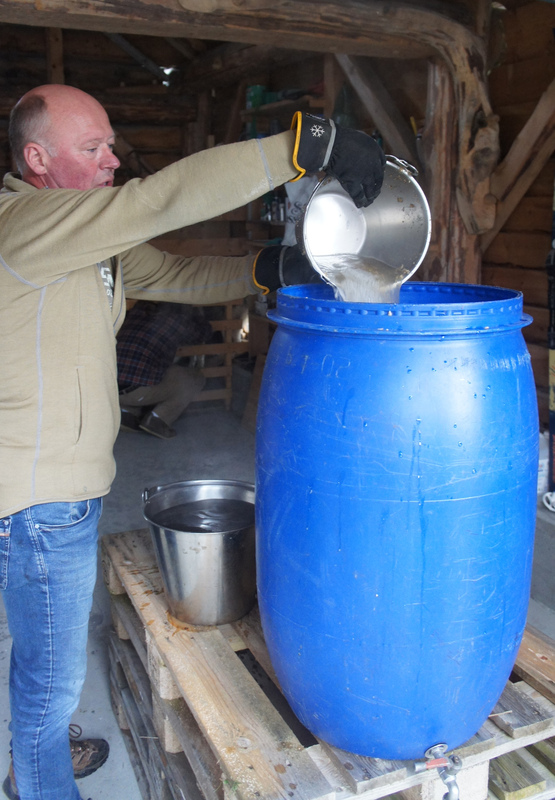 All the equipment is then scrubbed down and washed out with the hot juniper-water, before Stig uses milk churns to carry hot juniper-water to the “mash tun”, a blue 200-litre food-grade plastic tub set up in the garage across the farmstead yard. The malt – on this occasion Munton’s pale lager malt from Suffolk, though Stig is happy to use whatever malt he can get hold of – is added, and mashing takes place at 68-70ºC. 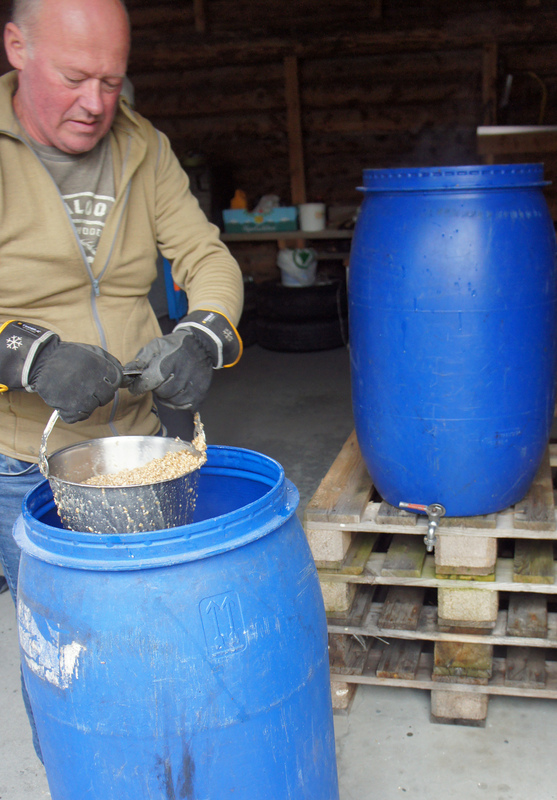 Once sufficient time has passed for conversion of starches to sugar, the grain is transferred by buckets into the “lauter tun” – another blue plastic tub, this one with a tap set in the bottom. 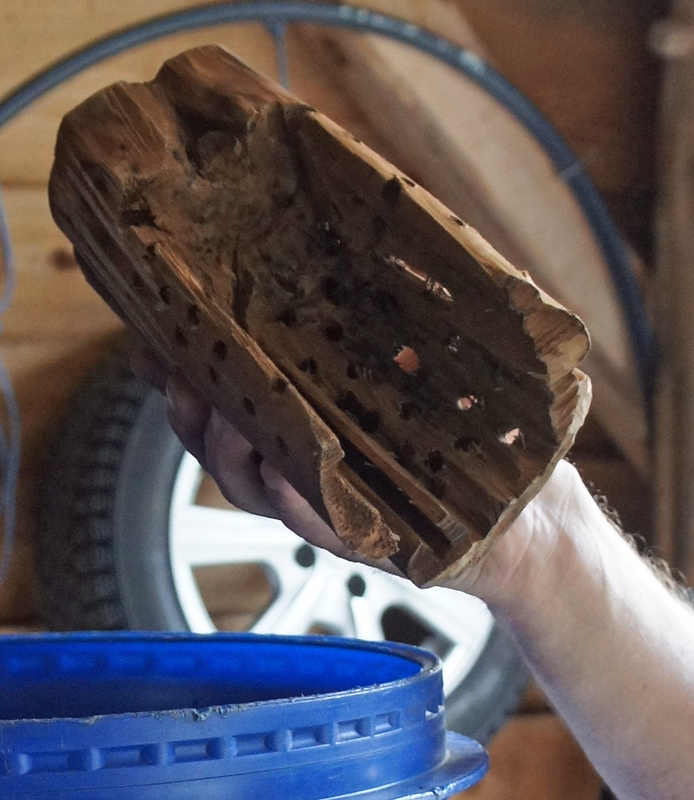 Beforehand, Stig has set a wooden “filter” in the tun, above the tap hole, augmenting this with leafy twigs of juniper. The wort left in the “mash ” is then poured into the “lauter tun”, and allowed to strain through into milk churns, while more hot juniper-water is poured in to “sparge” the malt. 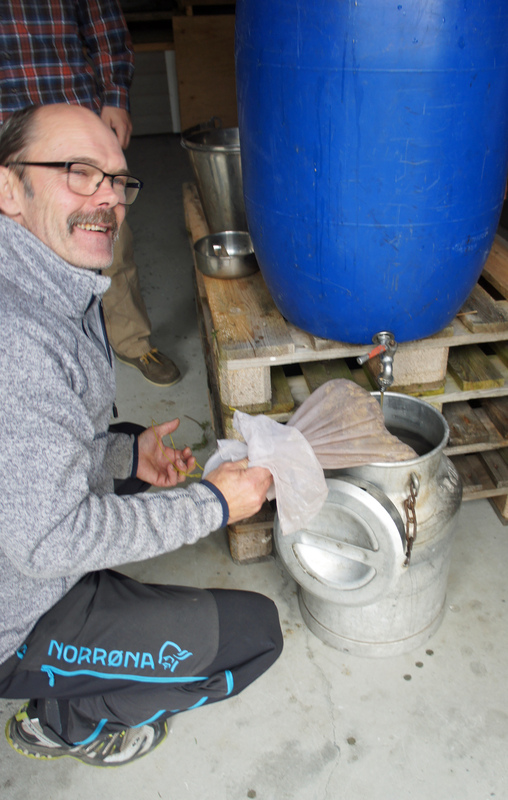 A bag containing loose hops – Challenger this time, though again Stig isn’t fussy, and will use what he can get – is hung in the churn and the hot wort runs over the hops, like a teabag. This is the only contact Stig’s ale has with hops. Wort cooling takes place by looping a circular length of hosepipe with holes in round the top of the milkchurn and running cold water from the tap through the hosepipe, which trickles down the outside of the churn. 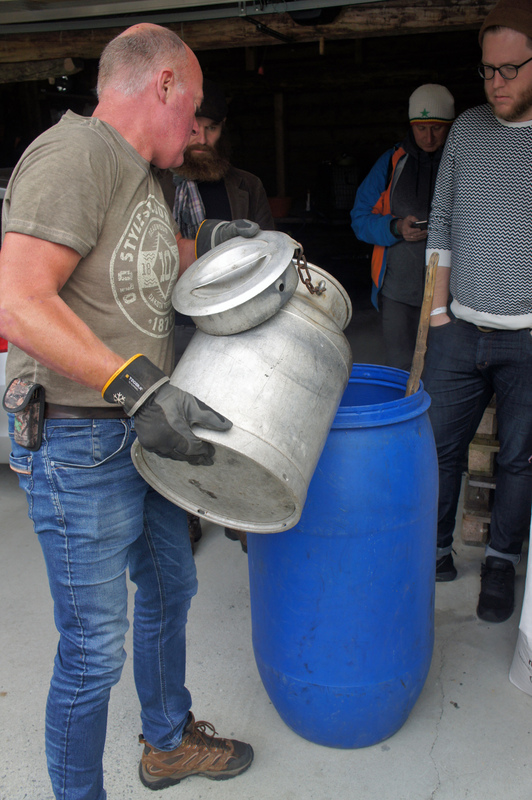 Once cooled sufficiently, the wort is carried down to the cellar of the old farmhouse, where it is added to the “fermenting vessel” – one more blue plastic tub. 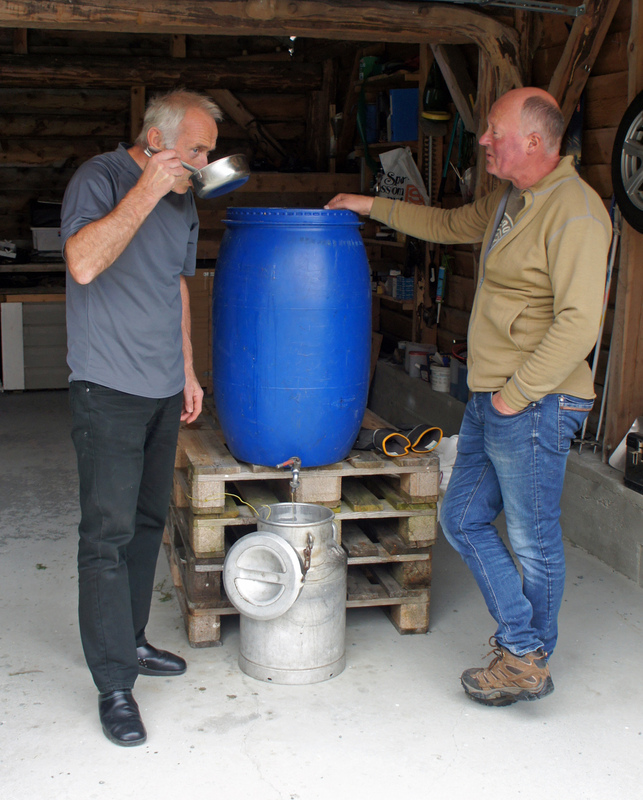 Stig aims for a temperature of 32ºC when he pitches the kveik into the fermenting vessel, but it was a cold day, and his thermometer (the only “technology” Stig uses) showed the wort had dropped to 28ºC, so the last 10 litres of wort were added uncooled to bring everything up. The kveik, a mixture of dried yeast from brewings in 2012 and 2016, is warmed up and brought back to life in a wooden bowl of wort by the kitchen fire, and then added to the fermentation tub and left in the dark cellar to work magic. The final result, in a few days, will be cloudy, slightly lemony and sharp, probably around five per cent alcohol by volume, and delicious. In Hornindal, in beautiful remotest Western Norway, if you tried to explain to the locals the fuss being made about cloudy New England IPAs, they would laugh, or look bemused. 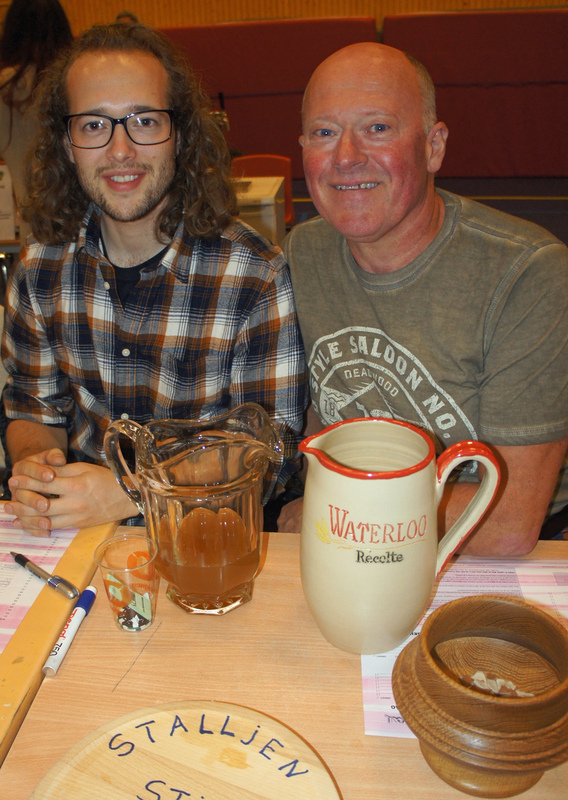 There are around a hundred or so people in the area who make beer, in a tradition going back hundreds of years. All of it is cloudy, and it likely always has been. This is partly, probably, because Hornindal is one of the centres of “raw ale”, rå øl in Norwegian, where the wort stays unboiled before fermentation. 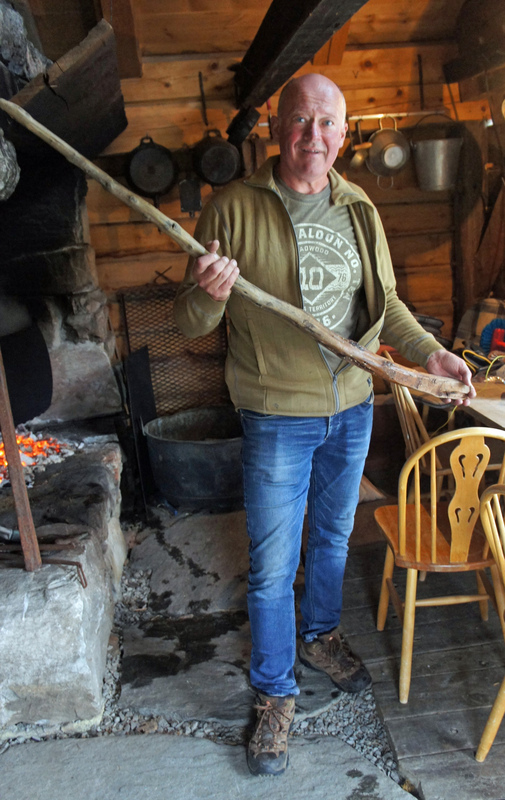 That is far from the only difference between what is called locally kornøl, literally “grain ale” (to differentiate it from other farmhouse brews such as birch sap beer – bjørkesevjeøl – or beer made just from sugar). All the beers are made with water that has had juniper branches boiled in it (but never the berries – too bitter). Hops are used lightly, if at all: a small bag of hops will be hung in the vessel that collects the wort. 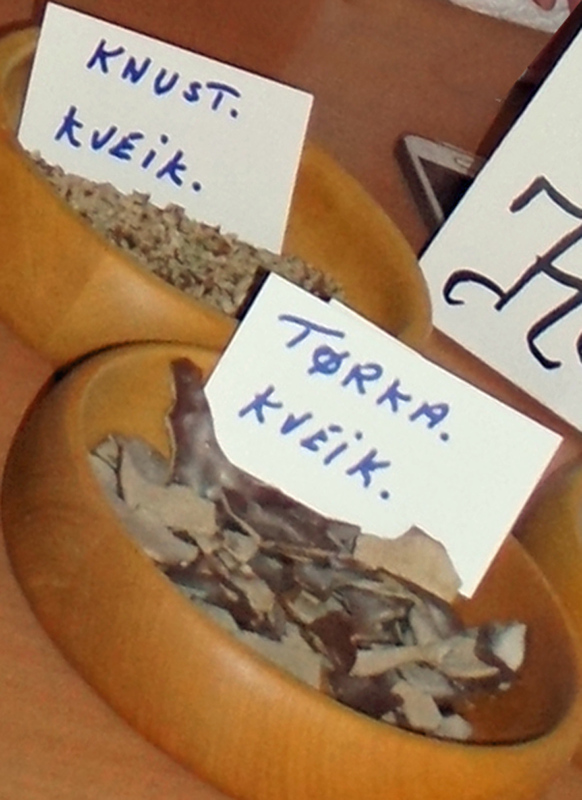 Perhaps most importantly, the yeast, known as kveik (a word that goes back to Old Norse kvikur, and seems to be related to the English word “quick” in the sense “alive”), will have been collected and dried from previous brews, and will give flavours quite unlike those from yeasts used by “mainstream” brewers. These are beers that push out the boundaries of the ale experience. 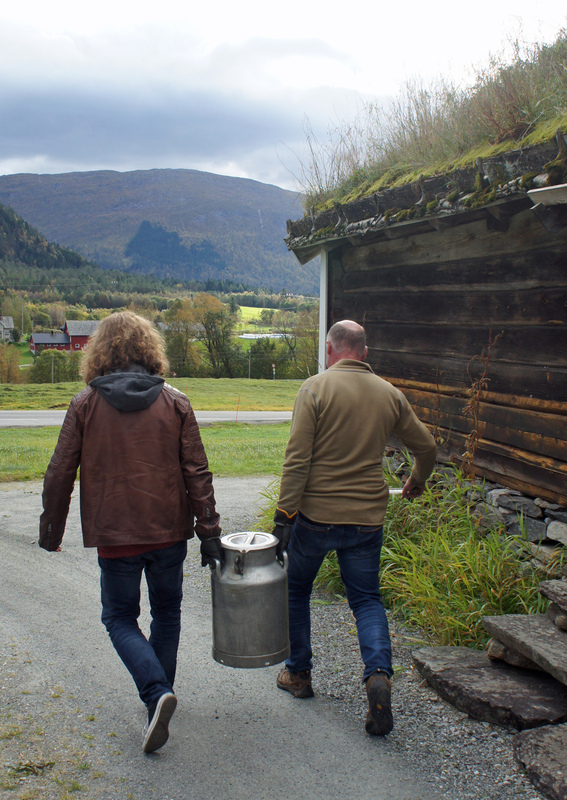 Now the rural brewing traditions of Norway are becoming more widely known, thanks in considerable part to the hard work of Lars Marius Garshol, whose writings have made him the Michael Jackson of gårdsøl (“farm ale”). Yeast companies are studying, and selling, kveik yeast, and commercial brewers in Norway are starting to make gårdsøl-style ales. The movement now has its own shop window, the Norsk Kornøl Festival in Hornindal, which has just been held for the second time, and I was privileged and honoured to be invited by the organisers to come and report on the event.